Sunset, the Arno and Me. 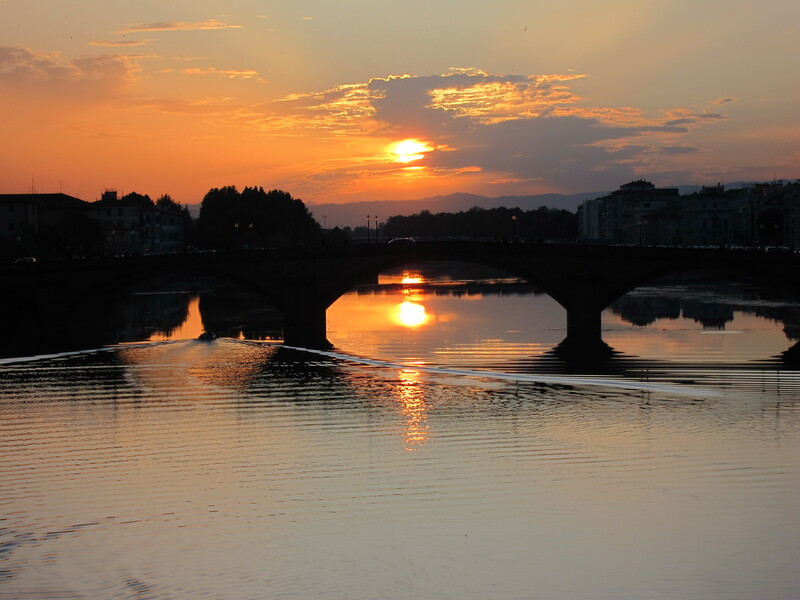 Sunset on the beautiful Arno river in Firenze in May 2012. On one of our the last nights of our tour in Tuscany we headed across the bridge to the Oltrarno district and had a quick dinner at Osteria del Cinghiale Bianco, which was quite good. We made it a quick dinner because we wanted to get back over to the Arno river to take pictures at sunset. 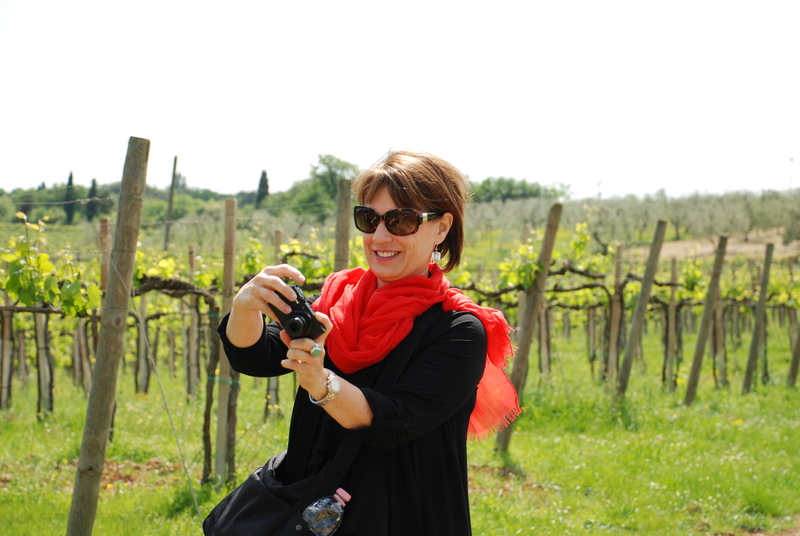 The restaurant was in a perfect location, right off the river – so we were perfectly positioned to get our prized snaps.